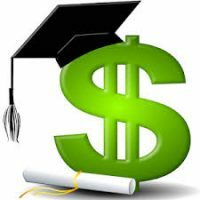 An enduring tension in federal higher education policy making is the balancing act between protecting students and taxpayers on the one hand and allowing for innovative instruction and business models on the other. New administrations typically emphasize one over the other, swinging the policy pendulum between those two goals. The regulatory overhaul proposed this week by the Trump administration has predictably swung the emphasis back toward innovation, leaving consumer advocates frustrated over the implications for student protections. The department wants to re-examine not only the role of accreditors in overseeing colleges and universities but a number of related rules as well, like the standard definition of an academic credit hour, faculty interaction requirements for online programs and state authorization rules. Many online higher ed providers had long hoped for more flexibility in the federal rules governing accreditors and the programs they oversee, a key objective of the latest round of rule making, which the agency formally announced in a federal notice Monday. Critics, though — even some who support the notion of greater innovation in higher education, a purported aim of the Trump administration’s approach — worry about a hollowing out of baseline student protections. The department’s plans to loosen federal requirements on accreditors undoubtedly mark a significant shift from the Obama administration, which had pushed for more accountability from the oversight organizations. The list of rules Education Secretary Betsy DeVos plans to tackle through a process known as negotiated rule making is so expansive that some questioned how one rule-making panel could effectively address them all. Negotiated rule making is designed to incorporate input from various stakeholders into the regulatory process, but if appointed negotiators can’t reach consensus, the department issues its own regulations, with no obligation to be guided by the views of those it had assembled. Despite the concerns about the process, the department received praise from several corners for a willingness to ask questions about the proper role of accreditors. Colleges need the approval of those organizations to maintain access to Title IV federal student aid. But accreditors have faced pressure to provide tougher oversight. There are ample opportunities to improve existing regulations for accreditors, said Julie Peller, executive director at Higher Learning Advocates. Specifically, she said the federal role in accreditation should focus more on quality instead of compliance. Michael B. Goldstein, senior counsel and higher education practice leader at Cooley, a Washington-based law firm, said the package of proposed rule changes doesn’t suggest less accountability but a willingness to free accreditors from enforcing outdated standards like the credit hour. 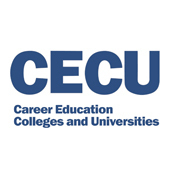 In an interview with Inside Higher Ed last week, Diane Auer Jones, the department’s principal deputy under secretary, said that the credit hour was the biggest impediment to innovation in higher education and difficult to apply to competency-based learning. Antoinette Flores, associate director for postsecondary education at the Center for American Progress, said the department’s rule package would open up federal student aid to more online providers with little to no oversight. Trace Urdan, managing director at Tyton Partners, said he was sympathetic to arguments that accreditors have been asked to do too much in oversight of programs receiving Title IV funds. But he said a rewrite of regulations that go too far politically could be subject to a course correction from a future Democratic administration. “I just think we’re doomed to see this pendulum swinging back and forth for the foreseeable future,” he said. 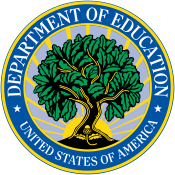 Issues of Accreditation Predominate in New Rulemaking Announced by Education Dept.